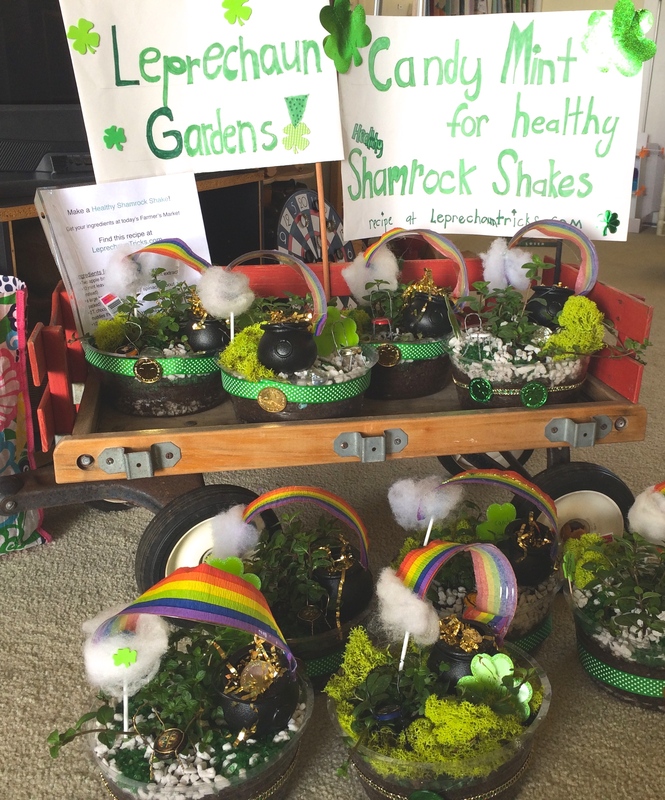 With a quick stop at Home Depot and the craft store, you can make your own leprechaun garden. Add a chairs for the lucky fellow to sit in, and you might even catch the little guy! My kids made these to sell at the Farmer’s Market. We bought some Candy Mint at Home Depot and tested it out in our Shamrock Shake recipe. Perfect! 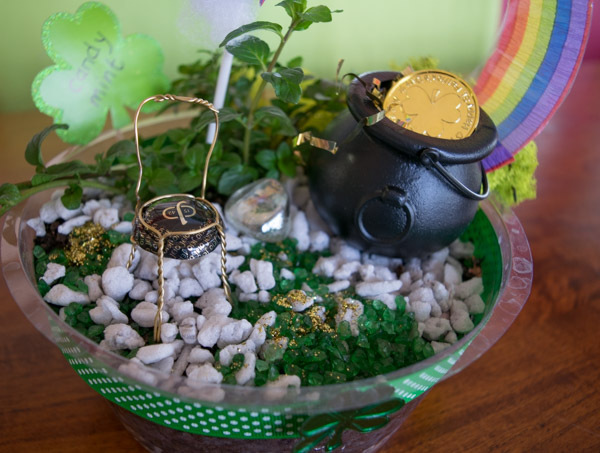 We put rocks at the bottom of the pot liner, added dirt and the mint plant, then embellished with more rocks, some glitter, and some moss. We added a chair made from the cage of a champagne bottle (thanks Martha Stewart!) and a little pot of gold. The rainbow was made from the top half of a plastic drinking cup, slit open to make an arch. We were really lucky and found rainbow crepe paper at Party City and taped it to the plastic cup arch. We glued a cake pop stick to the rainbow and added some cotton as a cloud. 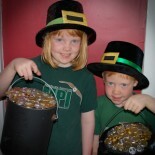 The final touch was a green ribbon around the container and a shamrock to cover the seam in the ribbon. 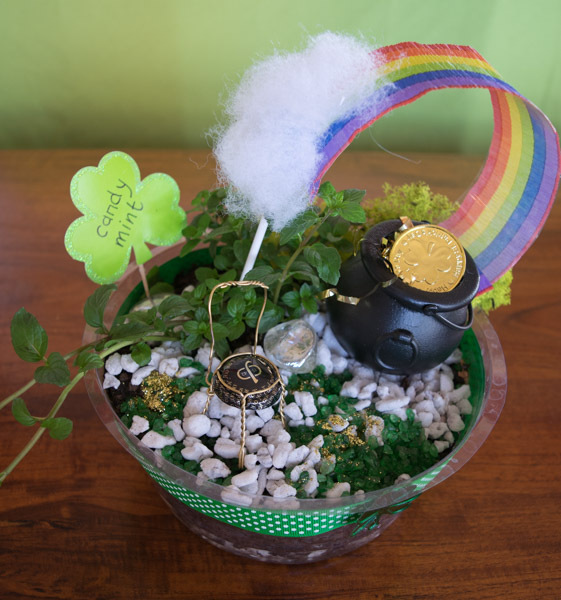 This entry was posted on March 16, 2015 by mdaucello in Crafts, Elves and Leprechauns, Leprechaun Adventures and tagged garden, leprechaun, leprechauns, mint, plants, St. Patrick's Day, terrerium.